Environment Conservation Journal aims to publish original research/ review paper/ Book reviews/ Reports on conferences/ seminars/ important events, news of interest/ information on forthcoming seminar/ books on the environment related aspects. 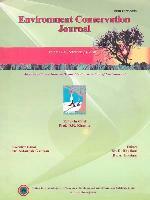 It encourages submision of scientific papers and engineering papers. NAAS had rated this journal in 2017 with a mark of 4.52 on a scale of 1 to 10.